Swedish artist junkboy, who we saw turning new games into old ones and is now on the development team at Minecraft developers Mojang, hasn't let his new job interfere with the old one. He's released two more great images "demaking" current games, one showing Super Mario Galaxy 2 as a SNES/GBA game, the other depicting Uncharted 3. 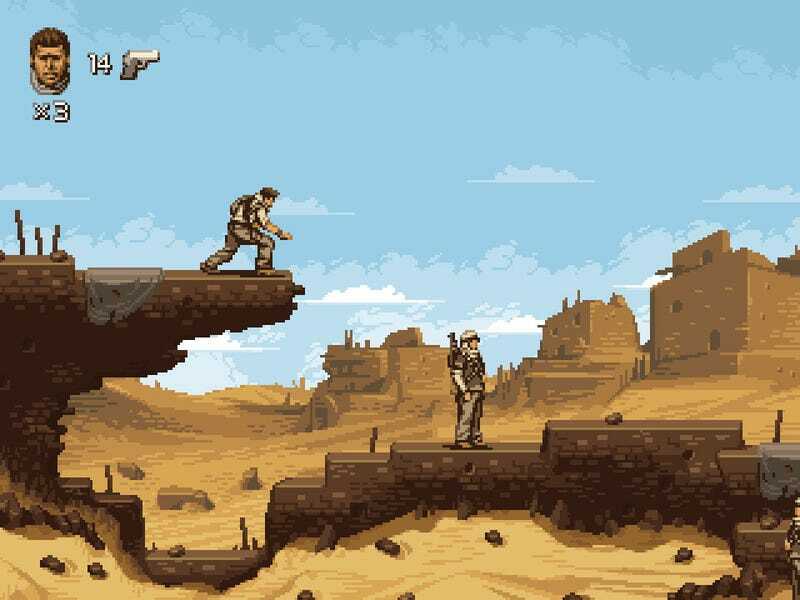 If Uncharted 3 was a side-scrolling platformer.